From the wrestling-addicted putz who brought you The History of WWE WrestleMania, SummerSlam, and Survivor Series comes the Enuffa.com History of WWE Royal Rumble! The annual tradition that generally garners one of WWE's best buyrates of the year, the Royal Rumble is considered the official kickoff to WrestleMania season. Angles and feuds are set up at the January PPV that lead directly to WWE's biggest show. It all centers around the 30-man (or occasionally 40-man) Rumble match, where the participants draw numbers to determine their order of entry. Two men start the match and the rest are added at regular intervals (usually either 90 seconds or two minutes). 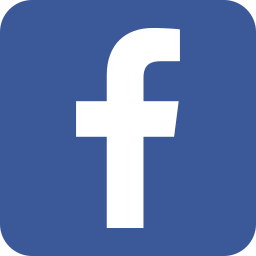 The object is to eliminate your opponents by throwing them over the top rope. The last man standing is guaranteed a WWE Title match at WrestleMania. The Rumble is usually one of the most fun matches of the year, as it's heavy on surprises and twists, and superstars are created or solidified. This match type more than any other lends itself to group viewing and betting pools (For example my friends and I each draw numbers and whichever wrestlers correspond to our numbers, that's who we bet on). Initially the Rumble match was simply a novelty, and the first edition was offered on free cable as counterprogramming to the NWA's Bunkhouse Stampede PPV. Once again Vince tried to put the kibosh on Jim Crockett's PPV hopes, and once again Crockett's show flopped (In retaliation Crockett ran the free Clash of the Champions event opposite WrestleMania IV). 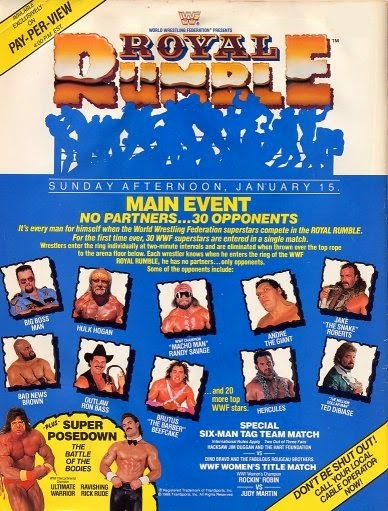 The inaugural Rumble match only featured 20 wrestlers, and no main event stars. The following year it was expanded to 30 men and broadcast on PPV, and a few years later the stakes were raised by making the Royal Rumble winner the automatic top contender for WrestleMania. The best Rumble matches tend to be the ones heaviest on star power, as the field of realistic winners is larger and less predictable. But there have certainly been exceptions to that rule. Here now is the History of WWE Royal Rumble! As I said before, the first Rumble was a free TV special and mostly featured midcard bouts. It was the brainchild of Pat Patterson, who test-ran the concept a few times on house shows with enough positive feedback to make the match a televised event. The show opened with a singles bout between Rick Rude and Ricky Steamboat. This was fine but ran a bit long, especially given the DQ ending. It was the first instance I ever saw of the fans chanting "Rudy Rudy RUUU-DAAAY", which I found amusing. Nothing too memorable, but it was an okay match. One of two featured non-wrestling segments saw Dino Bravo attempt to break the bench press record set by Ted Arcidi. Holy lord was this boring. Essentially this consisted of Dino lifting the barbell, Jesse Ventura adding plates to it, and Dino lifting it again. Dino broke the record with obvious help from Ventura, creating controversy that paid off with.....nothing. This segment didn't lead to any sort of feud or angle. Next up was the culimation of a feud launched at the '87 Survivor Series - WWF Women's Tag Champions the Glamour Girls vs. The Jumping Bomb Angels. The JBA displayed some excellent ringwork at Survivor Series and the WWF struck quickly by giving them a 2-out-of-3 Falls Title match here. This was a lot of fun and served as the Angels' crowning moment. Unfortunately there was no followup and the Women's Tag belts were soon forgotten (The Glamour Girls regained the belts five months later in Japan, only to vacate them the following February). This match was worth a watch, and was incidentally the first 2/3 Falls match I ever saw. They're not women, they're ladies. The Royal Rumble consisted of twenty midcarders and was a fun battle royal. Bret Hart distinguished himself by starting the match and lasting over twenty-five minutes. Thus began the "long man" tradition where one guy lasts longer than anyone else in the match and gets a bit of a rub, win or lose. I usually find that the most compelling story thread in the bout. 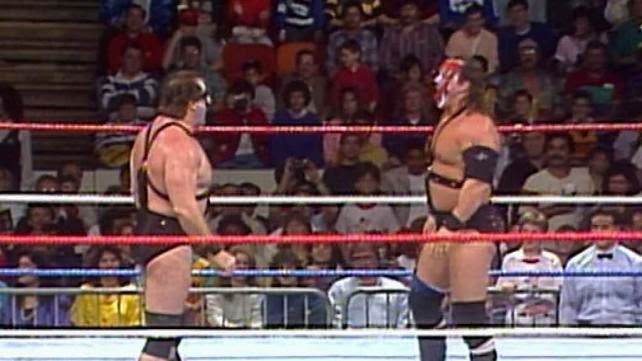 Another fun thing about the Rumble was the freshness of seeing face vs. face and heel vs. heel exchanges, which in the 80s especially was a rare thing. Anyway the match boiled down to Jim Duggan vs. One Man Gang, with "Hacksaw" coming out on top. There was little real consequence to this as it was akin to a midcarder winning a regular battle royal, the only prize being bragging rights. This Rumble was a promising start to the tradition but the company didn't quite know what they had yet. What is it about a buncha dudes beating each other up that's such fun? Typical of live TV specials of the time, the main event was put on earlier than usual to ensure it got enough time, and any leftover airtime went to an undercard match. In this case it was another 2/3 Falls tag match between The Islanders and The Young Stallions. Pretty forgettable stuff, and obviously anticlimactic coming after the Rumble match. 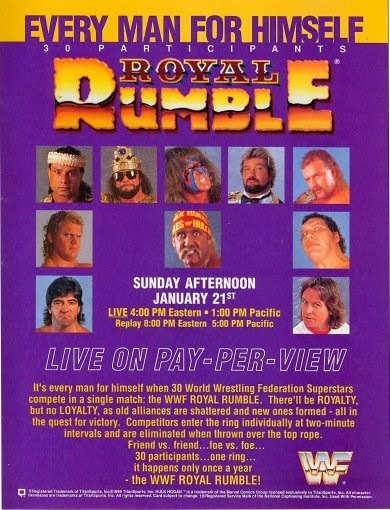 The '88 Rumble was obviously not a PPV-quality event, but it was a fun little TV special and served as an interesting prototype for what the Rumble event would become. Worth a watch more for historic purposes than anything else. What I'd Change: Where were Randy Savage and Ted Dibiase?? Also what was the point of the weightlifting segment? Most Pleasant Surprise: Nothing much. Given the positive reception for the '88 TV special, the WWF expanded the event in 1989 and put it on PPV. The Rumble field was increased to 30 participants and featured all the company's top stars. The '89 show on paper looks like a one-match card, which was kind of a trend early on. The Rumble itself was so stacked there wasn't much talent left over for the rest of the show. The opening match ended up sort of stealing the show though, as The Hart Foundation and Jim Duggan took on The Rougeau Brothers and Dino Bravo in a 2/3 Falls match. This was fast-paced and very well-worked. A strong opener. Wait, was this a 4-on-3 handicap match? What's the camera guy doing in their corner? The big non-wrestling segment of this show was a posedown between The Ultimate Warrior and Rick Rude, designed to start their long feud. As with all posedowns this was silly, but business picked up when Rude whacked Warrior with a workout bar. Next was a throwaway Women's Title match, as Rockin' Robin defended against Judy Martin. This would be the last high-profile Women's Title bout for several years. An odd heel vs. heel match was next as King Harley Race, recently disowned by Bobby Heenan, defended his crown against Haku. Pretty nondescript stuff, as the aging Race was phased out of active competition. The Rumble match itself was a much bigger deal this time as it featured main event stars including Hulk Hogan and WWF Champion Randy Savage. The opening minutes were noteworthy for entrants 1 & 2 being Ax and Smash. Rather than resting until the third entrant arrived, they decided to beat the snot out of each other, much to the delight of the crowd. This Rumble match was a lot of fun for about the first two thirds but the excitement more or less died after Savage and Hogan were tossed out. The remainder of the match featured mostly midcard guys and ended with the returning Big John Studd getting the win. Rather an odd choice given how short his babyface run ended up. I guess this was kind of a Lifetime Achievement Award for Studd. Oh man....Ax vs. Smash? KABOOOM!! Brain just exploded. The first PPV edition was arguably a step up from the '88 version, with much greater star power and a full hour of Rumble. It took the WWF a few years to find a balance between a star-studded Rumble match and a well-rounded overall card (undercard wrestlers pulling double duty is generally the best way to achieve this), but this was a fun and inoffensive little PPV. What I'd Change: Give the Rumble win to someone who would benefit from it. Either Perfect or Dibiase probably. Most Disappointing Match: I guess the Rumble just because the last third is fairly dull. Here's where they started to solidify the format of the Rumble PPVs. The 1990 edition was the first show that felt like a full PPV lineup at least. The roster was deep enough for four undercard matches plus a pretty stacked Rumble bout. Nothing on this show was exactly good and the ending pissed me off to no end, but at least they were ironing out the format kinks. The opening match was a rematch from 'Mania V which wasn't any good the first time - The Bushwhackers vs. The Rougeaus. The difference here was these two teams were given over thirteen minutes. Yikes. I don't think Butch and Luke ever had a good WWF match, which was a shame given their pre-WWF body of work as sadistic heels. Next was Brutus Beefcake vs. "The Genius" Lanny Poffo. Not much to write home about here either. The one strong undercard match was third, as Greg Valentine and Ronnie Garvin faced off in a Submission match. This was better than it really had any right to be. About sixteen minutes of solid work with Garvin getting the win. He was gone from the company not long after. Ah, the ol' Figure Four Rollover. Fourth was another forgettable encounter - Jim Duggan vs. The Big Bossman. Ten minutes of nondescript brawling ending in a DQ. The 1990 Rumble match boasted the deepest field of talent thus far and featured several respectable longevity stints, with the standout being Ted Dibiase's 44-plus minutes. This match was really all about planting the seeds for Hulk Hogan vs. The Ultimate Warrior at WrestleMania, and sure enough those two came to blows for the first time ever. 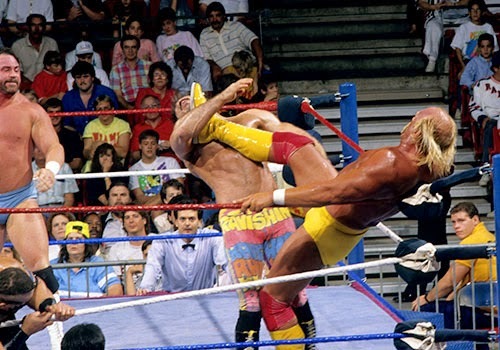 After nearly 59 minutes WWF Champion Hogan eliminated Rick Rude and Mr. Perfect to win the Rumble. This struck me as a missed opportunity to elevate a rising heel star. Since Hogan and Perfect were in the midst of a mini-feud I would've given Perfect the win here (as I believe was the plan until Terry decided just being WWF Champion wasn't enough). Having Hogan win the Rumble only solidified him as being in a different league than everyone else, which usually makes for a pretty boring Title run. Lame ending aside this was probably the best Rumble match to date. I mean look at his hair for Chrissake. Why was the skullet ever acceptable? As with every 1990 WWF PPV this was far from great. But the company was slowly figuring out the best format for a Rumble PPV, as far as presenting a decent undercard as well as a strong Rumble field. Just like the previous year's Survivor Series, this didn't really elevate anyone except Hogan, but it set the stage for the big Hogan-Warrior match. What I'd Change: As I said, Perfect should've won the Rumble to set him up as a top heel challenger for both Hogan and Warrior. Most Disappointing Match: Just the ending of the Rumble. Better than WrestleMania VI, SummerSlam '90 and/or Survivor Series 1990? - Yes, no, and probably.